TigerConnect partners with leading organizations to integrate secure messaging and hospital communications solutions into your offerings to customers. We provide all the training, support and documentation your staff needs to be successful. 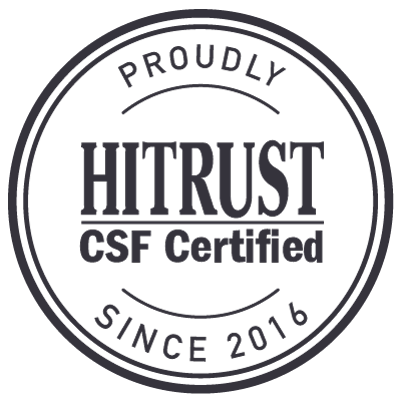 Interested in becoming a partner? Fill out the form today. Already a partner and just need to register a deal? 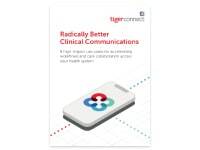 TigerConnect and Ascom partner to form a leading healthcare information and communication ecosystem. 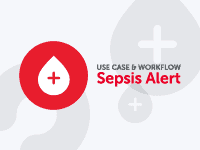 With the Ascom Myco 2 device and TigerConnect platform, medical personnel are able to eliminate workflow bottlenecks and effectively attend to patient needs. The integrated solution links colleagues, patients, labs, medical devices, patient monitors, and nurse call systems. TigerConnect and Honeywell have partnered to integrate hospital infrastructure communication systems for an efficient and safer patient journey. TigerConnect's collaboration platform along with Honeywell’s medical technology increases clinician and patient satisfaction. Daily utilization of the healthcare workflow solution has decreased medical errors, patient readmission rates, and costs. TigerConnect and Samsung have partnered to improve the quality of care using efficient workflow technology in the healthcare system. Samsung and TigerConnect's collaboration provides improvements in senior care and home health with a common communications platform on easy to use devices. Home health technology displays self-care solutions, medical alerts, measurements and monitoring systems. TigerConnect secure communication technology has integrated with the SpectraLink PIVOT device to increase productivity and workflow efficiency in the healthcare workplace. The touchscreen ease, rugged durable design and implemented secure software technology on the PIVOT device, provides a solution to a smarter way of working and influence a smoother patient journey. Verizon is a global leader delivering innovative communications and technology solutions that improve the way customers live, work and play. Verizon and TigerConnect partner to help healthcare providers “stay connected”. Zebra builds tracking technology and solutions that generate actionable information and insight, giving companies unprecedented visibility into their businesses by giving physical things a digital voice. TigerConnect partners with Zebra and integrates their clinical communication platform with the Zebra TC51 device to improve workflow efficiency and ultimately patient outcomes. TigerConnect and CDW have partnered to allow seamless invoicing and payment reporting using Electronic Document Interchange (EDI) and efficient workflow management. CDW offers the entire TigerConnect product portfolio to support innovative IT solutions for companies both big and small. CDW is a leading multi-brand technology solutions provider to business, government, education and healthcare organizations. 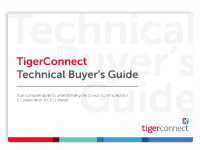 TigerConnect products and user licenses are available through Connection, a Global Solutions Provider with extensive experience helping caregivers use technology to improve patient care, security, and privacy. The Connection and TigerConnect partnership allows healthcare professionals to connect with technologies that make organizations of every size more efficient, agile, and secure. TigerConnect is a strategic partner with Integron to produce one of the fastest growing care delivery models in healthcare today. Integron’s telehealth deployment technology along with TigerConnect's collaboration and secure communication platform allows health facility devices access to monitor and manage patients from a remote location. PCM is a value-added direct marketer of technology products, services, and solutions. TigerConnect and PCM partner to offer complete solutions that address the specific complexities of healthcare organizations. SHI International is a global provider of technology products and services. SHI is a reseller of TigerConnect products within the US Healthcare market. TigerConnect and Trax Dental have teamed up to develop advanced software-based dental solutions. The clinical collaboration using TigerConnect technology allows practitioners to treat patients in a more time efficient manner. The affordable software suite subscription price has demonstrated an immediate return on investment for dentists through increased production and improved clinical workflow efficiency. TigerConnect and US Cellular, the fifth largest wireless carrier, have collaborated to offer customers a secure messaging platform to protect confidential conversations and data. Through this partnership, US Cellular customers are able to use TigerConnect's secure messaging technology to protect private and restricted conversations with the security and level of confidentiality required by legal regulatory standards. TigerConnect partnered with Zones for customers looking for a single source for IT service and solutions. The Zones healthcare team understands the unique relationship that healthcare providers have with information technology, and works to help them leverage technology to enable a higher quality of care. Amion builds physician schedules and streamlines schedule access and paging across an entire hospital. TigerConnect has integrated with Amion to facilitate messaging from within their solution and also to enable role-based scheduling through our TigerFlow product suite. Amazon Web Services provides reliable, scalable, and inexpensive cloud computing services. TigerConnect is a member of the AWS Technology Partner Network, supporting innovation in healthcare by driving the adoption of cloud-hosted solutions. Box is an enterprise content management platform that has made it easier for people to securely share ideas, collaborate and get work done faster. TigerConnect and Box work together to enable collaboration around content, photos, and documents for some of the leading providers in healthcare. Call Scheduler is a provider-scheduling software that is sophisticated, easy to implement and maintain, but not costly. All of the right tools you will use day-to-day to create, change, and communicate provider schedules are at your fingertips. TigerConnect and Call Scheduler offer a seamless integration to send a message directly from Call Scheduler and automate scheduling and viewing inside of TigerFlow. DeVero, a NetSmart company, is an industry leader in cloud-based software solutions for home care, hospice, and other healthcare at home providers. Devero has partnered with industry-leading TigerConnect to provide secure mobile communication for the entire healthcare at home team in a new combined solution, Secure Communication. Dropbox keeps more than 500 million registered users on the same page with easy-to-use collaboration tools. Dropbox users in healthcare can share content within TigerConnect and store images and files back to their Dropbox folders. MobileIron, a leading Mobile Device Management company, provides the foundation for companies around the world to transform into Mobile First organizations. TigerConnect's suite of mobile applications can be deployed securely within MobileIron’s infrastructure. OpenTempo provides clinical workforce management solutions, including physician scheduling, time-tracking, analytics, and more, to improve your organization's efficiency. TigerConnect can integrate with OpenTempo, resulting in a seamless collaboration experience for your care teams. PointClickCare is advancing senior care by enabling long-term and post-acute care (LTPAC) and senior living providers to achieve the business results that matter. TigerConnect's developer solutions power PointClickCare’s collaboration products throughout North America. QGenda is a leader in cloud-based, automated physician scheduling software, servicing more than 2,500 customers in over 30 medical specialties across 5,000 hospitals. QGenda and TigerConnect have partnered together to offer seamless integration and automate calendar viewing and scheduling inside of TigerFlow. Salesforce, the global CRM leader, empowers companies to connect with their customers in a whole new way. TigerConnect and Salesforce HealthCloud have partnered to enable patient-centric models of care and collaboration. AirWatch is the leading enterprise mobility management (EMM) technology that powers VMwareWorkspace ONE. TigerConnect's suite of mobile applications can be deployed securely within AirWatch’s infrastructure.